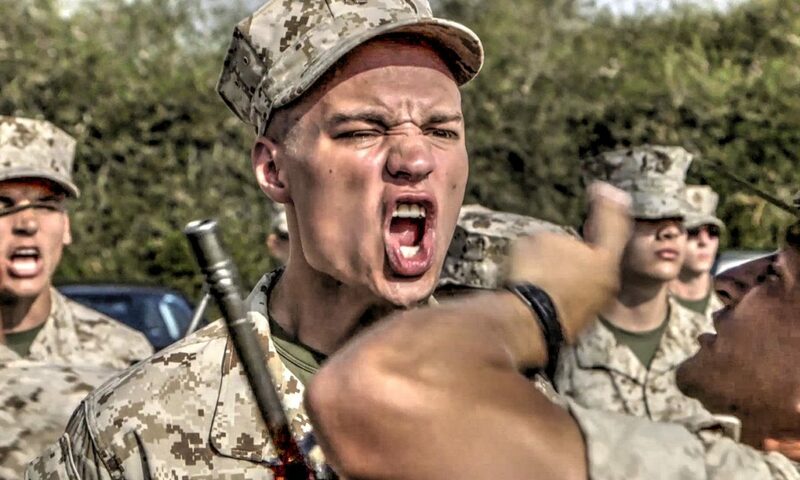 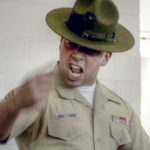 Marine Corps drill instructors conduct an Senior Drill Instructor (SDI) inspection of recruits aboard Marine Corps Recruit Depot San Diego, California. 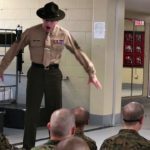 At the end of the 3rd training week, the drill instructors inspect recruits on the proper wear of their uniforms, the cleanliness of their rifles, and their knowledge of Marine Corps history and traditions. 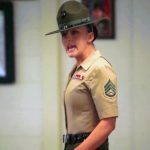 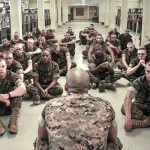 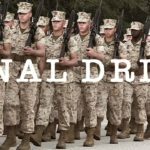 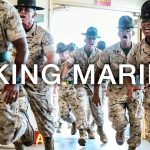 Posted On May 23, 2016 in Marine Corps, Military with 0 Comments.Tagged: basic training, Boot Camp, Drill Instructors, Inspection, Recruit Training, SDI, SDI Inspection, Senior Drill Instructor.